The same could be said for the national museum, which has received a face-lift with every update, from the addition of an elegant cafe and shop to the custom-designed ombre cardigans worn by its staff. 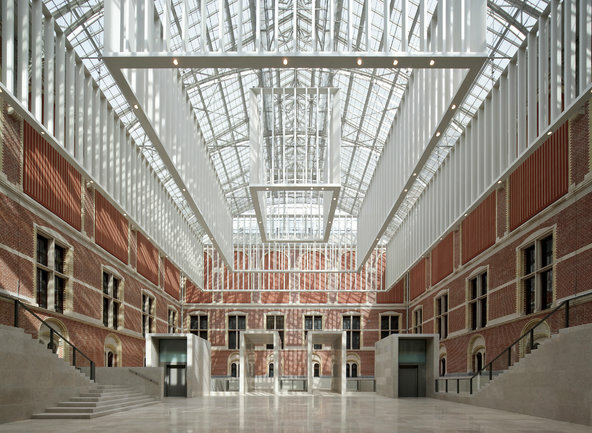 “Everything is new,” said the Rijksmuseum’s director, Wim Pijbes. 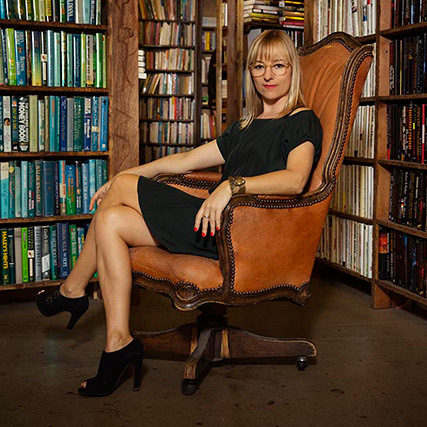 The airy, three-story library that Pijbes was sitting in — where the original 19th-century wrought-iron railings, hand-numbered wooden shelves, intricate decorative motifs and tile floors were gleaming — has been completely restored. Throughout the rest of the historic museum, the arched galleries boast new nonreflective cases, state-of-the-art LED lighting and paint in contemporary gray hues by Jean-Michel Wilmotte, the architect behind the renovations at the Louvre in Paris. The most pronounced change is the museum’s new entrance: a soaring stone atrium created from two courtyards formerly divided by a public passageway. The Spanish architecture firm Cruz y Ortiz connected the two spaces by lowering the floor and building a subterranean hallway beneath. The once brick-walled passageway — still open to cyclists and pedestrians — now has large windows, allowing passers-by a peek inside the museum. Under the direction of Taco Dibbits, the Rijksmuseum’s collection is presented chronologically, rather than by material. Of the 8,000 objects on display in 80 galleries, only Rembrandt’s “Night Watch” hangs in the same place, at the end of the long “Hall of Honor,” a location chosen by the museum’s original architect, Pierre Cuypers, who essentially designed the building around this luminous masterpiece. Elsewhere, works of art are displayed next to decorative and functional objects. A painting of the Battle of Waterloo hangs beside a cabinet of 18th-century weapons; early gelatin prints flank 19th-century oil portraits; a wall of Man Ray’s rayographs is visible through a case of chartreuse pressed glass from the 1920s. Notably absent are any sorts of video or computer screens, the assumption being that today’s visitors come with their own multimedia devices. A Rijksmuseum app allows visitors to curate their own experience, organizing self-guided tours according to themes like portraits of women or museum highlights, or the color black. The Rijksmuseum is open 365 days a year. For more information, go to rijksmuseum.nl.